This is the story of how an extraordinary experience changed the life of this author, giving her an opportunity for spiritual growth that was so lucid and conscious it has now become a roadmap for others on their journey to higher ground. Her internationally best-selling book, “Love Without End, Jesus Speaks” is now in fourteen languages and has sold over a million copies. Her second book, “The Keys of Jeshua,” is not far behind. Find out why others are praising this new book so highly. See if it answers the questions you have been asking. Christian mysticism is older than any doctrinal presentation of Christian beliefs. The goal of mysticism is direct union with God, and holding of faith that it is unalterably assured with practice and devotion. Christian mysticism aspires to apprehend spiritual truths inaccessible through intellectual means. These truths are also frequently beyond prescribed doctrine, and therefore subject to scrutiny and often persecution of the defenders of doctrine. From its beginning Christianity was a radical movement submitting only to higher authority. As such, it claimed the right to confirm a direct relationship with that higher authority. Our first example of that prime manifestation was the transfiguration of Christ. Clearly doubt and suppression were creeping into the first generation of Christianity, yet the fire and commitment to it were strong and would continue alongside the development of doctrine for the next two thousand years. Some theologians seriously believe it will continue in its strength long after the pursuit of doctrine has paled and been consigned to library shelves. If you have had a mystical experience yourself, whether an epiphany in life or a near-death experience, this may provide many insights for how you may relate those experiences to others. Most of all, if you have dreamed of how far you can pursue your own spiritual vision, and still live a lucid and socially relevant life, perhaps this will give you a model that is almost unavailable in contemporary literature, even with all the research into consciousness and spirituality. 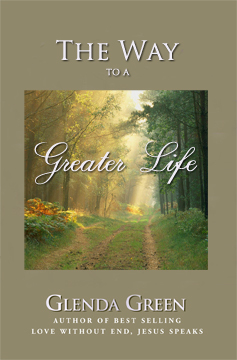 In this book, we are inspired to think that perhaps the link we seek to a better life is actually within our own nature and being.